New England's Holy Week of Cyclocross came to a spectacular close today, as racers battled for dominance on the second day of the Providence Cyclocross Festival. Record numbers of racers participated in - categories of racing, including six amateur, junior, and masters categories that are part of the season-long Verge New England Cyclocross Series. Elite racers competed this weekend for series points in the Shimano New England Professional Cyclocross Series presented by Verge. The Elite women took to a course slick from rain earlier in the day, presenting a technical twist. Helen Wyman (Kona) took the hole shot, while Crystal Anthony slipped out on a corner, causing her to drop from third to last spot. Wyman joined forces with Elle Anderson (California Giant-Specialized), Katie Compton (Trek Cyclocross Collective), and yesterday's winner Katerina Nash (Luna). Nicole Duke, Meredith Miller (California Giant-Specialized), Courtenay McFadden (Bicycle Bluebook/HRS/Rock Lobster), and Mo Bruno Roy (Bob's Red Mill p/b Seven Cycles). Compton and Nash traded attacks, pressing the pace until the lead group dissolved. Nash made an attack Compton couldn't reel in with one to go. Nash claimed her second win this weekend, defeating reigning cyclocross queen Compton two races in a row. Helen Wyman crossed the line in third. Elle Anderson claimed fourth, a result which is enough to retain her lead in the Shimano New England Professional Cyclocross Series. Maghalie Rochette (Cylocrossworld.com) finished just ahead of Kaitie Antonneau (Cannondale p/b Cyclocrossworld.com), claiming the U23 women's leaders' jersey. "I love the Shimano series, and I'm tempted to come back east to try to win it," says former NECXer Elle Anderson, who now lives on the west coast. With Jeremy Powers not racing today, the Elite men's winner was anything but clear. Zach McDonald made an early charge in an attempt to repeat his landslide win in the Providence mud last year. McDonald proved himself adept in the slick conditions; however, the course became ever drier, and a pack of chasers was hunting him down. Tim Johnson (Cannondale p/b Cyclocrossworld.com), Raphael Gagne (Rocky Mountain Factory), Ryan Trebon (Cannondale p/b Cyclocrossworld.com), Stephen Hyde (JAM Fund/NCC), Lukas Winterberg, and Ben Berden - all the heavy hitters - organized to catch McDonald. Berden and Johnson launched a screaming fast attack, catching and passing McDonald and leaving the rest of the chase behind. Their lead grew to over 20 seconds, as the chase dissolved into Hyde, Gagne, and Winterberg as Trebon suffered a flat. Gagne used his mountain biking skills to nimbly ride the stair section, dropping Hyde and Winterberg. Berden and Johnson rode together, each unable to shake the other, and headed into the finishing stretch. Berden bested Johnson in the sprint, while Gagne rode onto the third spot on the UCI podium. Trebon clawed back up for a fourth-place finish, with Hyde behind for fifth. "I felt very fresh after my mountain bike racing season, so I knew I was ready for cx season," says Gagne. 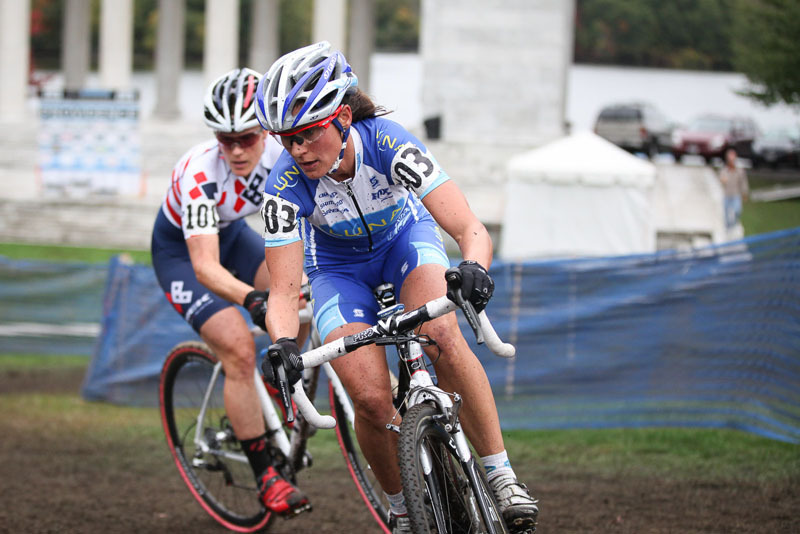 "I'll take some time off now, but I hope to make it back for Baystate Cyclocross, since I love that race." 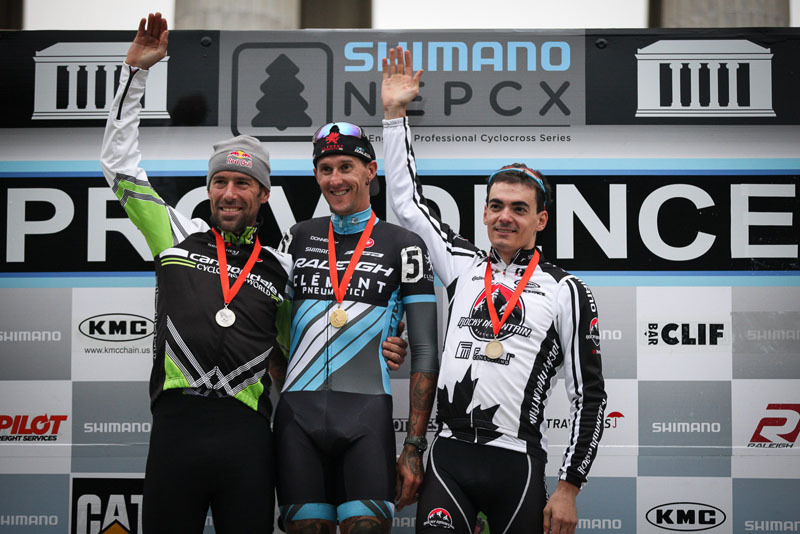 Even though he stayed home sick today, Powers has a solid enough lead to retain his lead in the Shimano New England Professional Cyclocross Series. Yannick Eckmann (California Giant-Specialized) keeps his U23 men's leader jersey as well. Meanwhile, in the Verge New England Cyclocross Series, Lizzie Gunsalus (Team Gunsalus) and Daniel John Vaughn (Corning/No Tubes/Swan Cycles) newly lay claim to the 10-14 Juniors jerseys in the girls' and boys' divisions. Stephen Pierce and teammate Alec Donahue of JAM Fund/NCC retain their leaders' jerseys in the Category 3 men's and 35+ Masters men's categories. Melissa Seib is the season standout in the amateur women's field, as is Alisa Allegrini in the 35+ masters women's field, both of whom grew their series leads this weekend. In the masters competitions, 45+ leader Roger Aspholm (Finkraft Cycling Team) and 55+ leader Al Blanchard (Blue Ribbon Restaurants) finished strong enough to maintain their points margin, but watch for close races in those categories in the coming series races. 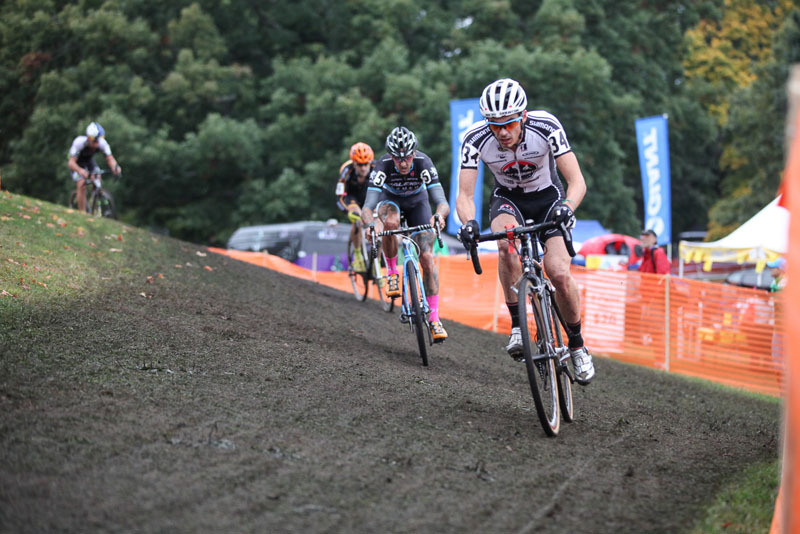 Next, the Shimano New England Professional Cyclocross Series presented by Verge heads to the Cycle-Smart International, the oldest UCI cyclocross race in the US, bringing world-class racing to quaint Northampton, MA on November 2 & 3. On the weekend of November 30, the Verge NECXS makes a stop at Baystate Cyclocross, bringing explosive action to this notorious race course in Sterling, MA. The New England cyclocross season culminates as racers converge at the NBX Gran Prix of Cyclocross on December 7 & 8 in Warwick, RI. Not only an exciting weekend of racing, this event is the final reckoning in the season-long competition for Elite and Amateur championship in the Shimano New England Professional Cyclocross Series presented by Verge and the Verge New England Cyclo-Cross Series.